ACS Online Training | Over 500 courses available to study online now! 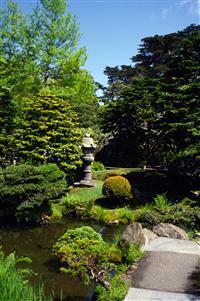 Many different styles of garden have evolved in different cultures and countries. Often clients wish to have a particular style or themed garden or they wish to have elements of particulr styles which appeal to them. As a garden designer it is vital to have a detailed knowledge of what different styles there are and what components are used to create them. In this immensely informative course you will learn about all sorts of garden styles from traditional styles like cottage gardens and formal styles to more modern styles and eclectic gardens which borrow from different themes. Learn how to alter the theme of a garden through use of colour, water and different textures and how to decide what to include to match a style to a location. Learn to apply the principles, design features and elements that make up many types and styles of gardens. This is an outstanding course for even experienced landscape designers, developing skills in developing everything from a formal to an eclectic garden, and a Mediterranean to an oriental landscape. Explain the use of colour, light, shade, temperature, water, foliage and other elements in establishing the mood of a garden. Describe gardens from different places and periods in history; and in doing so explain how to renovate and/or recreate gardens that reflect the style of different historic periods. Apply the principles, design features and elements that make up a formal garden. Discuss cultural and historical traditions that contributed to the development and style of the oriental garden. Discuss cultural and historical traditions that have contributed to the development and style of the Middle Eastern and Spanish garden. Discuss the historic, climatic and cultural influences which have contributed to the style of Mediterranean gardens. Explain the limitations and potential of coastal sites when preparing a landscape design. Discuss contemporary garden design styles and possible future trends in garden design. Identify the range of diversity possible in garden design. Identify characteristics of different garden styles including eclectic, dryland, permaculture, rainforest and tropical garden styles. Design different styles of gardens. Visit three (3) different gardens to assess the mood of each garden. Take time to observe each garden and try to identify the different elements that contribute to the garden mood. Observe how colour has been used in the three different gardens. Observe the colours of both plants and hard surfaces, and the way the colours have been combined. Visit an historic garden in your area. Identify all the different features that make this an historic garden. Visit a formal garden in your area. Identify all the different features that make this a formal garden. Visit an oriental garden either in person or by research.Search for more information on gardens that reflect the styles. Make notes of anything you find which is interesting and could be used in development of a Mediterranean style of garden in the locality in which you live. Visit a modern courtyard garden (if there is no suitable garden in your area, use a garden described in a book, magazine or on the internet). Identify and describe the elements that make this a ‘modern’ garden. How has the designer overcome the restrictions of the site to create a feeling of spaciousness? Search through telephone books, magazines and the internet to find suppliers of materials suitable for eclectic gardens such as pots, sundials, pebbles, statues, wrought iron, tiles, gazebos, seats, wind chimes, etc. Visit as many suppliers as possible and inspect these materials. Find out about their cost, availability and longevity. Depending upon where you live, visit a dryland, permaculture, tropical, or rainforest garden in your area (if there is no suitable garden in your area, use a garden described in a book, magazine or on the internet). Identify and describe the elements that determine the style of this garden. Be the envy of your neighbours this winter by adding a blaze of colour to your backyard. Cold weather encourages the family to remain indoors but it only takes a few simple and inexpensive ideas to jazz up the garden with colour and entice your family outside. Cold, grey weather and a garden with few or no flowers is a drab and psychologically depressing combination. Nothing in the garden seems interesting and thoughts of summer seem far off. But there is a solution – add colour to your garden with non-plant components and create new and interesting spaces. Revamp boring cement paths into enticing works of art. Quick-drying exterior paints are available in an extensive range of colours from hardware stores. The paint will dry within hours but surface preparation is essential before starting. Pressure wash with a commercial machine to remove moss, slime or ingrained grease from path. Paint the fence, garden shed or gazebo. You can take the safe option, choosing neutral colours that harmonise with the house and garden, or for a bolder approach, paint in vivid colours to liven up the yard. If you have some artistic talent, paint a mural or a trompe l’oeil on the garden shed or courtyard wall. Give your garden walls a designer look with special painting techniques such as ragging and sponging. These paint finishes give a sense of texture and depth that is lacking in ordinary flat paint finishes. Paint the garden furniture for an instant makeover. Use exterior acrylic paint for plastic furniture; use an oil based exterior paint for metal (make sure no rusting is apparent. (If so, brush off any flaking rust and treat with an anti corrosive inhibitor and primer before applying paint). Revamp timber seating and tables an with exterior acrylic timber paint, many aesthetically colours available to do the job. Paint garden pots in bright colours and place them strategically around the garden. Make a totem pole (see below) and paint it with bright colours. For a family project, get each member of the family to design and paint their own totem and then set the poles in a group. Make a canvas banner and paint family logos or simple welcome signs using waterproof paints. Colour can be used to trick the eye and affect the mood. Use bright, hot colours – red, yellow, orange, cerise – to make objects stand out and to give the garden a lively, happy feel. Use soft, cool colours – pale blue, mauve, pale pink, white, green – to make objects recede and to give the garden a relaxed, harmonious feel. To make the garden seem larger, place the hot colours in the foreground and the cool colours receding into the distance. Look around the garden to see which areas need sprucing up. It could simply be a matter of tidying up the clutter and moving furniture around – you might be surprised at how much difference this makes. Colouful garden ornaments and outdoor sculptures are one of the easiest ways to give your garden a quick lift. These can be bought from giftware shops, garden centres and specialist galleries, or for a cheap alternative, make your own from leftover bits and pieces around the yard and house. With a bit of imagination, old garden tools and pots, pieces of timber, leftover tiles, broken mirrors, and scraps of materials can be transformed into quirky, colourful decorations. Scarecrows, totem poles, mosaics and wind chimes are just some of the things that can be made from recycled materials. Even the simplest water feature will add interest and life to the garden. Place a bird bath or large, shallow bowl in a garden bed or beside a path. For a more lively effect, use a fountain – these can be free-standing, wall-mounted or placed inside a pond. This course is ideal for people wishing to expand on their garden design knowledge by developing a firm understanding of how to create different garden styles and themes. It could also add to the skillset of people wanting to start a garden design business, or be of value to people wishing to renovate a home garden. Note: Australian prices include GST. from anywhere in the world! All orders processed in Australian dollars. Subscibe to a newsletter for the latest course updates, new course info and industry news. You can choose your interest areas and Subscribe Here.